When traveling around the world, you might have confronted numbers of people or situations that made you frown, or go ‘WHAAAT? 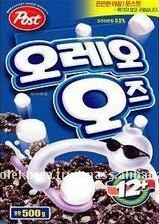 !’ Korea is not an exception. Here are some of the extreme situations (or people) that might surprise you if it’s your first-time travel to Korea. As mentioned, these are just extreme examples. Korean metro systems are unquestionably some of the best in the world, acclaimed for its speed, proximity, convenience, cleanliness, and multilingual announcements. With approximately 9.8 million daily riders, Korea has developed both a written and unwritten decorum to keep most people happy while traveling on the trains. Politeness and manner counts! 1. Efficiency starts with YOU! In my hometown, the means of public transportation around the city is by jeepney only and buses are for long distance travels. Although, I’ve also experienced riding the LRT in Manila and subway in Hong Kong, some things that one isn’t familiar with gives this scary and exciting feeling at the same time. Instead, I arsed around making this here pointless video… enjoy! For some reason – I’ll never be sure why – a business owner saw fit to open a Subway restaurant in our little city of Yangsan, South Korea. There are no Subway sandwich places in Busan yet. 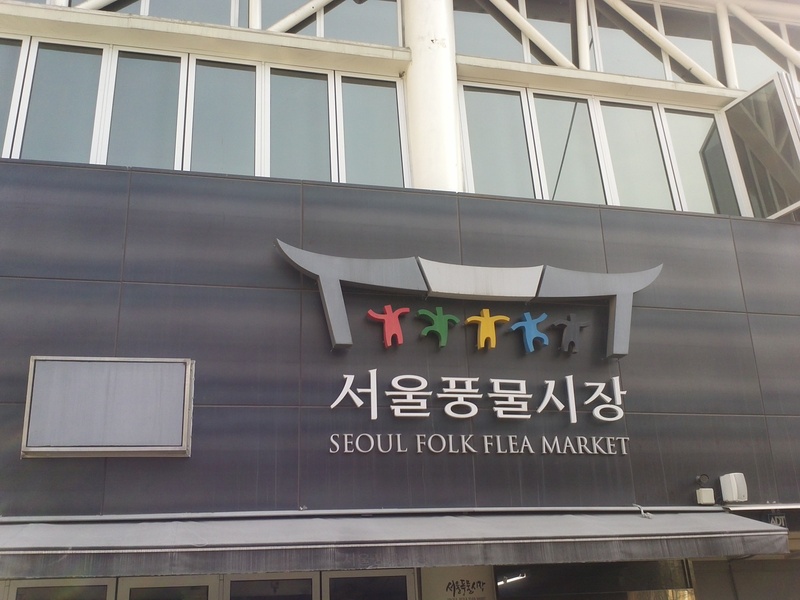 In fact, I think they were only in Seoul – until now! We are extremely excited about this! One of the things we miss most from home is a good sandwich. Having a Subway in Korea is good, in Busan would be fantastic, but having it inexplicably open up here in Yangsan? That’s amazing! Naturally, we’ve spent a large portion of our time there over the last few weeks. On nearly every visit we’ve made to the Yangsan Subway, we’ve run into another foreigner doing the same! The Yangsan Subway has become a foreigner Mecca. With that in mind, we’ve decided to post some directions. I find it really amusing to see people selling items on the Seoul subway. They are so excited and animated. I’m always too nervous to buy anything, because I’m worried I’ll mess up speaking Korean in front of a train full of people. 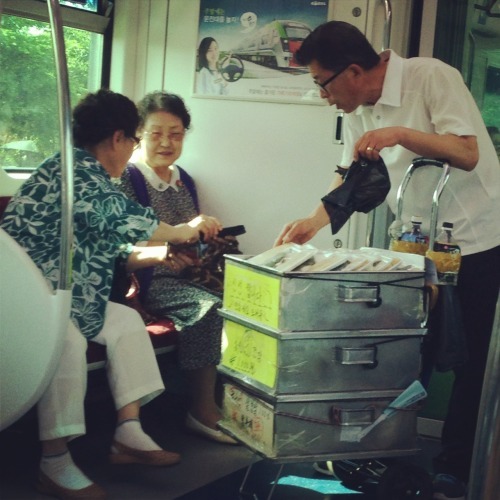 The man pictured is selling 떡 (ricecake). I’ve seen people sell umbrellas, visors, arm sun shields, and mosquito repellent bracelets. Has anyone else seen anything else sold, or have any fun stories to share?